Today’s commercial turtle foods are, thankfully, light years removed from the yesteryear’s dried “ant eggs” (actually ant pupae). While natural foods remain important, some remarkable advances now provide turtle keepers with an important safety net, and simplify the process of providing our pets with a balanced diet. Today I’ll review some well-researched prepared diets that are valued by zookeepers and experienced private turtle owners alike. Note: The excellent products described below should be used as part of a well-rounded diet….in my experience, up to 50% for some species, more or less for others. We do not, as far as I know, have long-term research concerning diets comprised entirely of prepared foods. 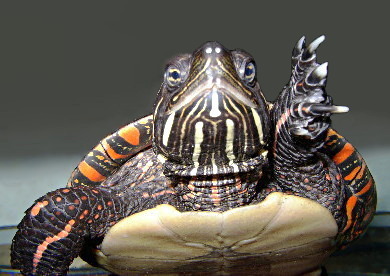 Whole freshwater fishes remain the best source of calcium for Sliders, Painted Turtles, Snakenecks and most other semi-aquatic turtles. Depending upon the species, fresh greens, produce, earthworms and other foods may be essential as well. Please see the articles under “Further Reading” and post questions below for information on complete diets for specific turtles. Today I’ll focus on Zoo Med products, as they have an extensive product line that is backed by over 2 decades of research. I’ll cover prepared foods from Tetra, Hikari and others in the future. 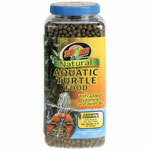 Zoo Med’s Aquatic Turtle Food can be an important building block in the diet of a wide variety of turtles. It was formulated for Sliders, Sidenecks, and Asian Box, Spotted and Painted Turtles, but is also useful for African Mud Turtles, Spotted Pond Turtles and others. I especially like the fact that it is available in both hatchling and adult formulas, with the levels of protein and other nutrients adjusted for each. This high protein (35%) floating food contains kale along with other animal and plant products, vitamins and minerals. I came to value kale as a turtle food after discussions with veterinarian co-workers at the Bronx Zoo, but find that it is not widely used by private keepers. Mixing it with the tastier foods included in ReptiSticks is also a great way to induce your “meat oriented” pets to eat their vegetables! Shrimp play an important role in turtle diets, but until recently only marine species have been available commercially. However, the shrimp in Zoo Med’s Sun Dried Red Shrimp is freshwater species (the Oriental River Shrimp, Macrobrachium nipponense) and as such is a great food item for most semi-aquatic turtles. Anecdotal evidence from several of my zoo colleagues indicates that shrimp (and krill) are an excellent calcium source for a variety of turtles…and I cannot recall many that will refuse them! 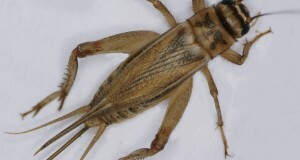 Dried cranberries and mealworms are among the unique ingredients in Zoo Med’s Gourmet Aquatic Turtle Food, which can be used to add variety to the diets of Sliders, Cooters and similar turtles. As always, be sure to feed this and other high protein foods (37% in this product) in accordance with the needs of the species that you keep…please post below for detailed information. 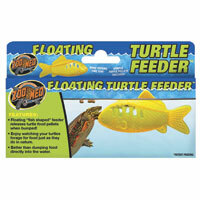 Zoo Med’s Floating Turtle Feeder accepts most pelleted foods, is fun to use, and will keep your turtle occupied and active. Please see this article for more info. I’ve long offered commercial turtle foods to various newts, African clawed frogs, shrimp, crayfish and hermit and fiddler crabs. When moistened, many are also readily accepted by millipedes, roaches, crickets and other invertebrates. Just one question. I have often wondered if dried cranberries (like in the Gourmet Turtle Food) was ok to feed your turtles…of course limited due to species. So I guess it’s okay, right? I look forward to other brand information you publish/post! Thanks, glad you enjoyed, Cranberries in the amounts included are fine for those turtles that will accept them…many aquatic species will take them; box turtles as well. I have other reviews, let me know what you are interested in. Do you have a review on Hikari Wheat Germ (sold for Koi)? Reason I ask….so many members on the TF recommend it for turtles that are having a hard time shedding, or with scute retention. I’ve replaced 50% of my YBS’s pellets with the Hikari because I’ve been having a horrible time with her not shedding. Hikari has been part of her diet for about a year now….and I really haven’t seen much of an improvement. Just wondering if Hikari is everything that it’s cracked up to be. Specifically: I have had her for two years and I have never seen a scute shed off. All I have seen is the edges of the carapace scutes peel up a bit (with new underneath) and it seems those peeled up edges don’t advance. They’ve been that way for probably close to a year. There are a few of the larger scutes that have old, smaller scutes retained. I maintain her water quality, have a very nice filter for her 90 g, 50% WTC every two weeks, provide heat UVA and UVB, water and basking temps as should be, cuttlebone for calcium supplement, veggies offered at all times, with pellets every other day. Have 0 ammonia, 0 nitrites, under 20 nitrates, hard pretty alkaline water, and condition it with AquaSafe. As for the Hikari…it’s believed to help with retained scutes or a prolonged shed because it’s higher in Vit A and Vit E. Maybe it is coincidental that keepers notice a difference after feeding Hikari! I give her a nice little soft bristled toothbrush scrub once a week. Can’t think of anything that might help you help me…and just an FYI I’m not worried much about the scutes…it doesn’t look bad, it just bugs me that I don’t know! I’ve seen this only rarely where husbandry is good (as you describe); I’m assuming her shell dries thoroughly when she basks? Bacterial infections sometimes take hold beneath retained scutes; even though this has not occurred, the safest route would be to have the carapace debrided or otherwise attended to by a vet. Whole minnows and shiners should be a regular part of the diet…this may help in providing missing nutrients, but would not reverse the situation at this point; could be helpful once animal is treated, and impt in any event (calcium, Vit E, etc); I mentioned Hikari to a colleague at a conference today (Bx Zoo vet)..she is not aware of Hakari being useful in this situation. 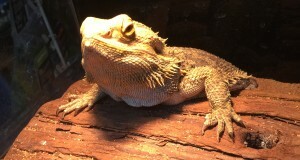 Yes she gets thoroughly dried when basking. I do have a good rep vet that I’ll call on and set up an appointment. I hadn’t ventured too much into minnows or shriners….she’s only had them once, but once I get her debrided I will feed them more often. Thanks for you advice on this…I’m sure I”ll run across something else that I need an answer to! Good to hear; some individuals seem to do get by w/o whole fish, but they are the best way of assuring adequate calcium intake and a source of nutrients that are hard to provide otherwise. Introduce slowly; a steady goldfish diet has been implicated in serious health concerns in other species (mata mata), so best to use sparingly or avoid these. I am in the process of getting a reeves turtle, but I am having a hard time finding a specific diet breakdown of what they will need while they are young. I was planning on feeding them zoo meds hatchling food until they are bigger plus some vegetables. but what would be the most beneficial things for them to eat? I don’t want to waste time feeding them food that is not beneficial. The link you posted is bringing me to zoomed’s lighting page. Are minnows the best whole fish for hatchlings? Yes, whole minnows are ideal…turtles are not good at catching them, pre-killed often best. Hunting keeps them occupied, provides exercise, however.